Vietnamese Grilled Beef in Piper Lolot Leaves Recipe (Bò Lá Lốt) originally is part of “beef seven ways prepared – bo bay mon (Vietnamese)”, a special menu, which is frequently served at weddings. 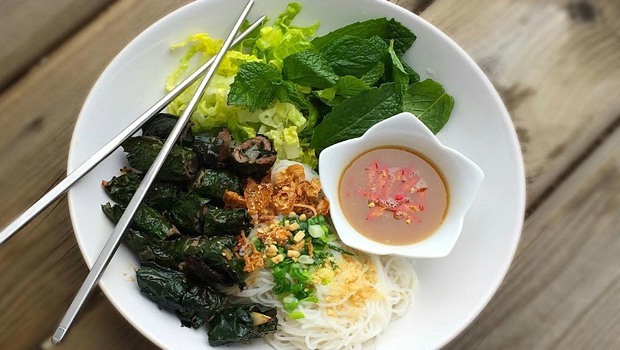 Bo La Lot (Bò Lá Lốt) is a popular dish in the South of Vietnam and it is usually made from two main ingredients that are easy to find: beef and piper lolot. Besides, it can be eaten with some vegetables such as fish mint, lettuce leaves, basil, and cucumber. 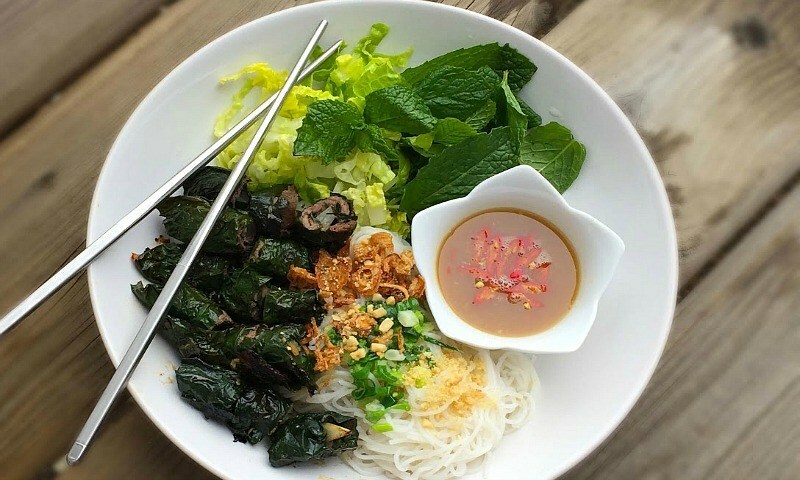 You can order this dish at restaurants in both Vietnam and America. 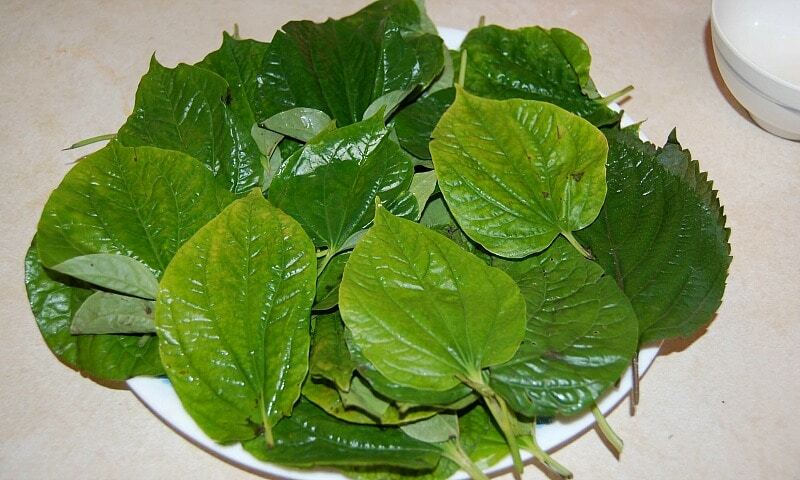 Firstly, you clean your piper lolot leaves by dipping them in the clean water and then you wipe with your hand. Next, you rinse and do not tear the leaves. Then, you let them air dry or pat dry using your kitchen paper. Secondly, you cut the beef steak into many thin strips or you can chop them up. 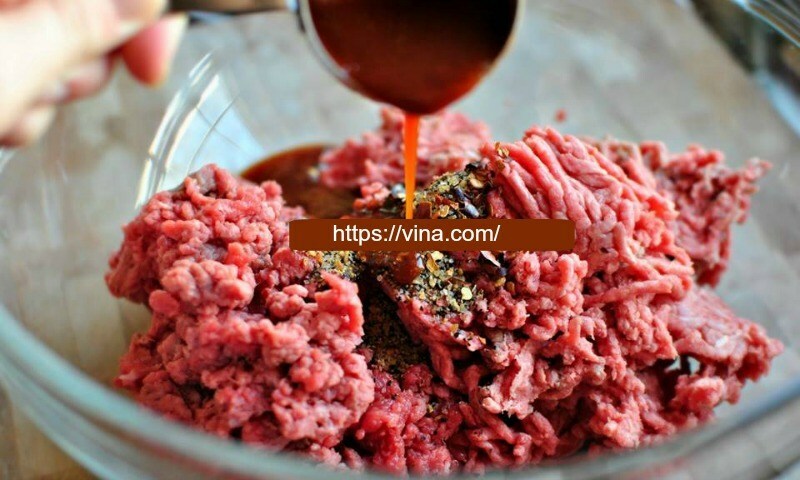 Then, you marinate the chopped beef steak with 1 tbsp of soy sauce, 2 tsp of sugar, a pinch of salt, some vegetable oil, some chopped cloves of garlic, some chopped citronella. Next, you stir well and you can let the mixture covered about 20 – 30 minutes in the fridge. 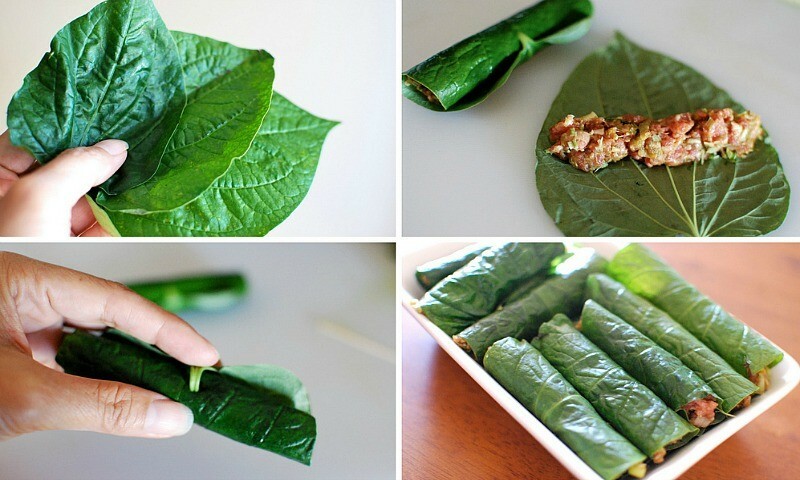 Thirdly, you roll the marinated meat into the leaves (you put the meat in the middle of a piper lolot leaf, and you roll over until the stalk of the leaf.) Then, you use toothpicks or skewers to make a hole in the middle of your rolls to fix your beef In addition, you can use the stems or stalks of the leaves to attach the rolls. 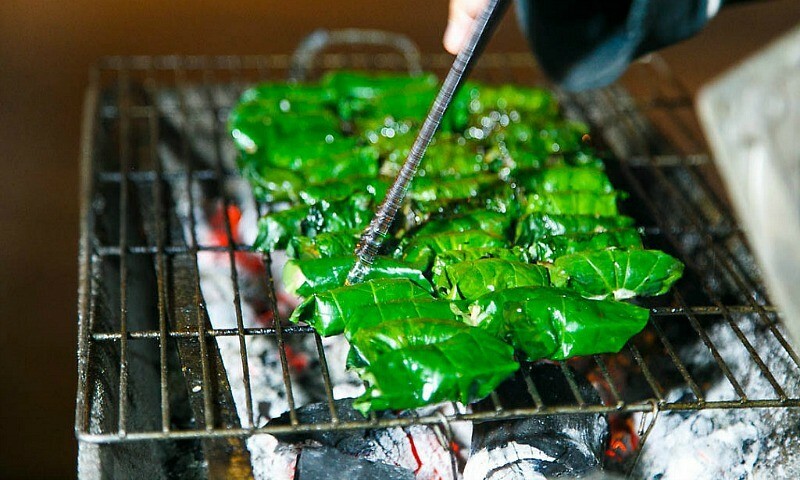 Fourthly, you grill your leaf rolls in a grill pan or a skillet pan. The first step is that you heat a little of the vegetable oil in the pan. Next step is that you grill leaf rolls over medium heat for roughly 1-2 minutes until your beef rolls become dark green & slightly blackened. They look less attractive than as compared with when they aren’t grilled. Finally, you should serve this Grilled Beef in Piper Lolot dish immediately because the piper lolot leaves as well as the meat dry quickly when they cool. You can serve with your choice such as rice / vermicelli / noodles, use fish dipping sauces, and garnish with roasted and crushed peanuts, and fresh herbs & vegetables such as fish mint, lettuce leaves, basil, and cucumber.